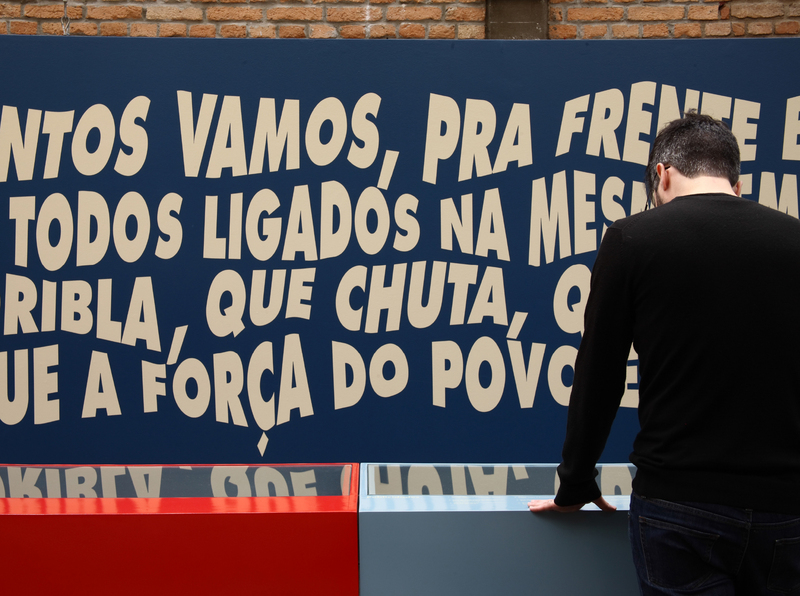 Música de Chuteiras (the sound of Soccer Cleats) was an exhibition about music related to World Cups, from national anthems to popular songs, of both international and Brazilian production. The design gives the songs form and spatial presence, as if people were singing them. In order to achieve that, the text was modulated like a football crowd in a stadium, setting each line of text very close to each other on an irregular path. Exhibition design by Álvaro Razuk and Isa Gebara.